Take a tour of any local pharmacy or market and you will quickly discover the vast assortment of choices in skin creams. Due to the many roles the skin plays, you must be sure to care for it properly. Determine your skin type and needs first, then research the most beneficial creams to help maintain healthy skin. 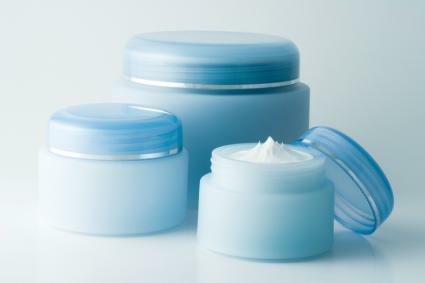 While there are many types of creams available, consider your needs and conditions before buying. Your age, skin type, problem areas, and skin color will ultimately determine the best creams for your individual situation. In general, creams for the skin should protect it from the sun and environmental pollutants, while also treating any specific problems. Look for the highest quality ingredients to ensure a cream's ability to live up to its claims. Enhance the circulation of blood flow by massaging creams into your skin several times a day. Acne is a common skin ailment. People of all ages suffer from this condition and many rely on topical solutions, like acne creams, to find relief. Retinoids and benzoyl peroxide are the two most popular types of creams available. Retinoids - Both prescription or over-the-counter formulas are available. Always use a small amount when applying, as these types of creams can become irritating. With consistent use, retinoids dry out acne pockets and control excessive oil production. According to Dr. Susan Evans, a health and beauty expert and contributor to WebMD Magazine, retinoids are hazardous if you are pregnant or nursing because they pass through the bloodstream to the fetus. Benzoyl Peroxide - Acne creams may contain from 2.5 percent to 10 percent of benzoyl peroxide. This ingredient fights harmful bacteria and also acts as a natural bleach to lighten dark acne spots. These popular brands offer a variety of skin creams for different purposes. As the largest living organ in your body, your skin works hard. Boost the skin's natural ability to heal itself by providing it with quality products. Treat specific skin problems effectively with formulas designed to make skin healthy and lovely. Add skin creams to your daily beauty regimen and enjoy the benefits for life.